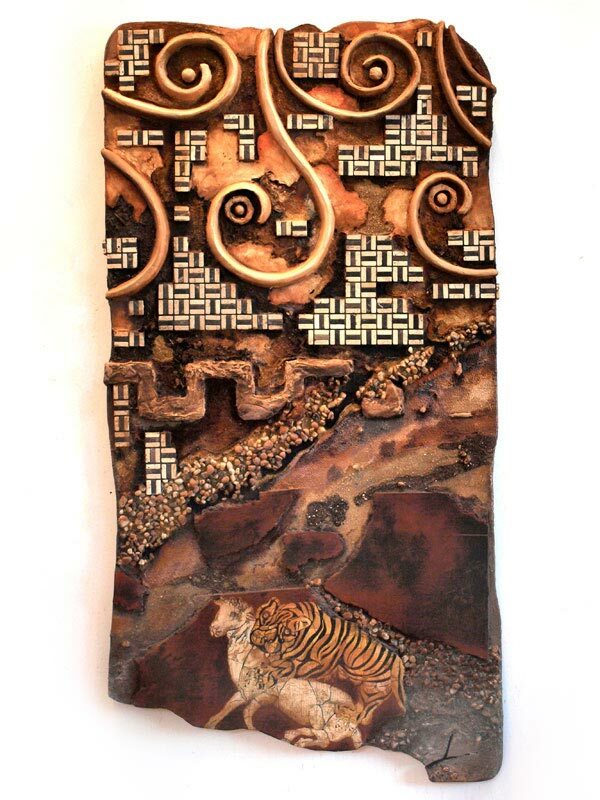 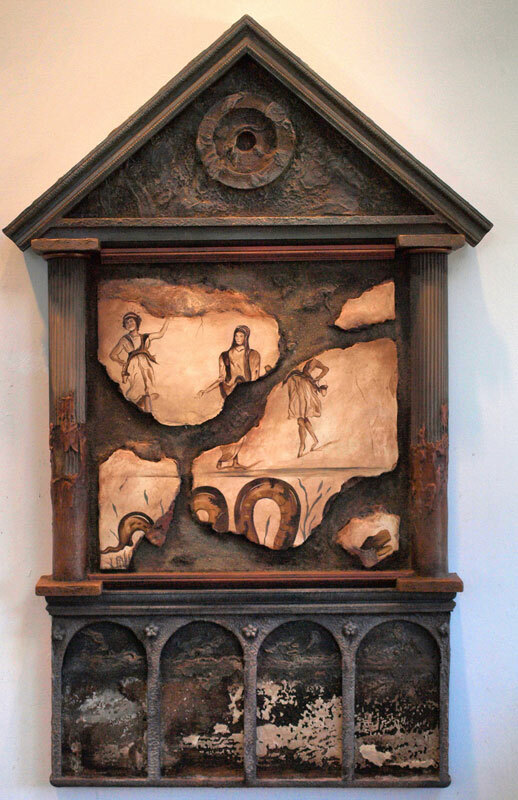 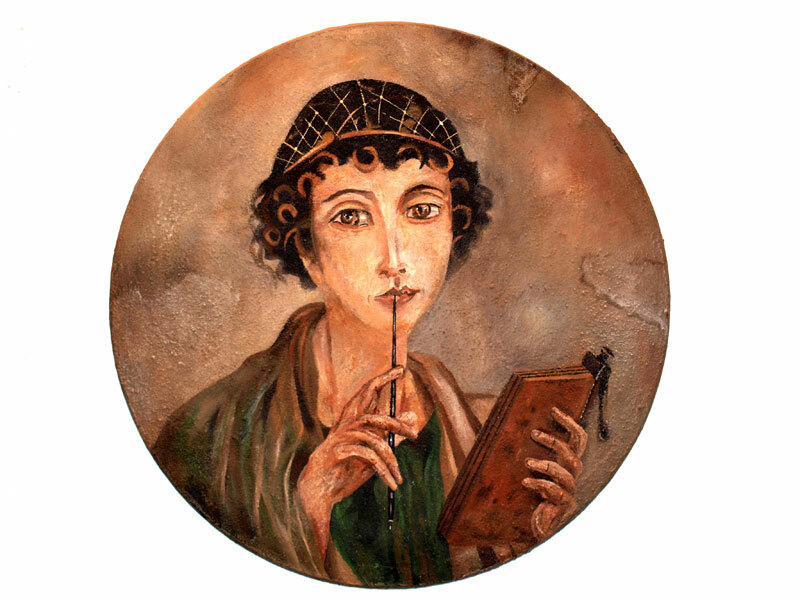 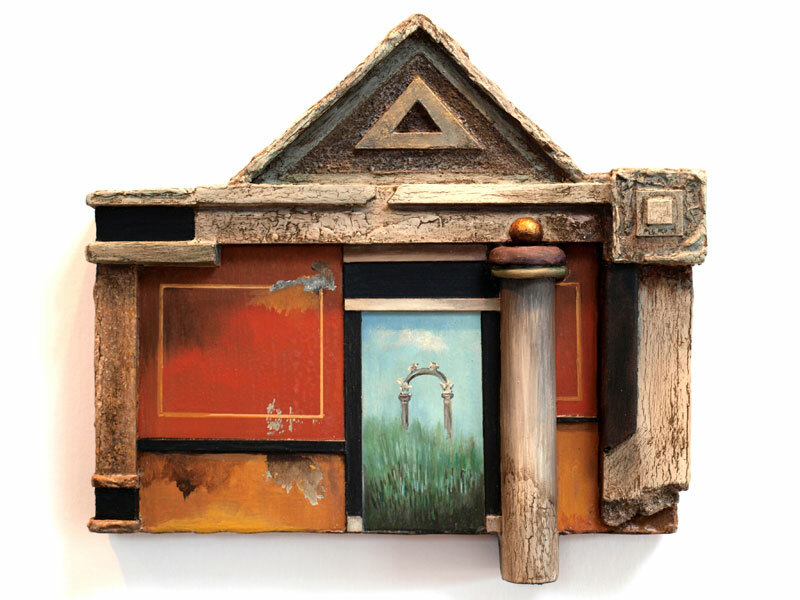 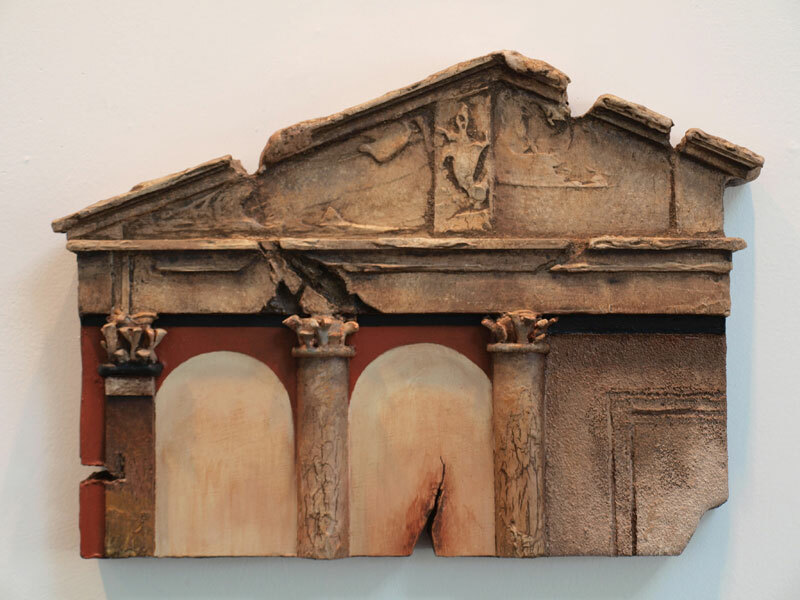 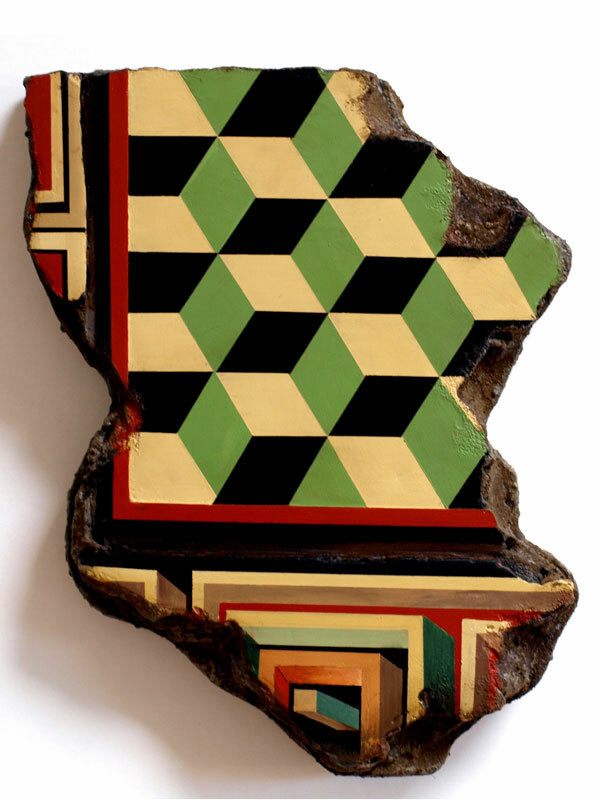 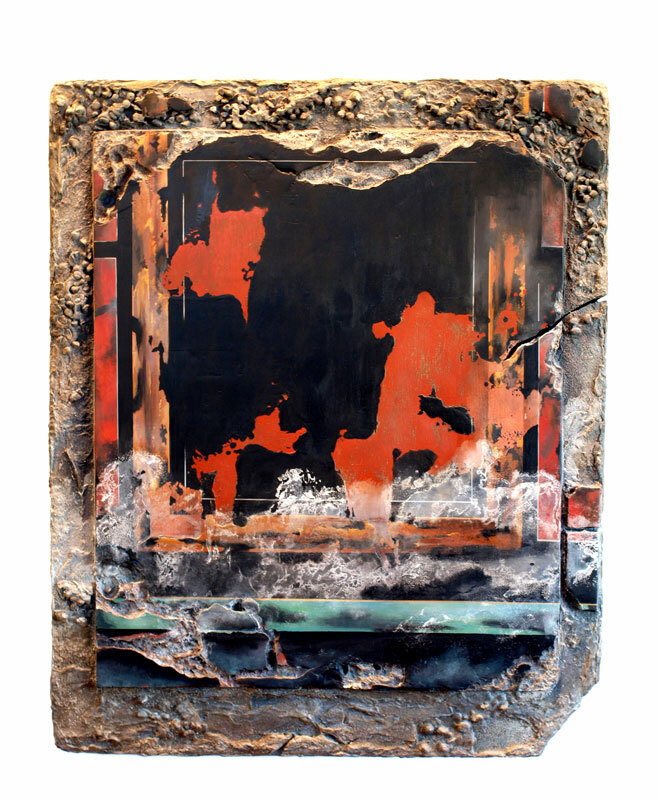 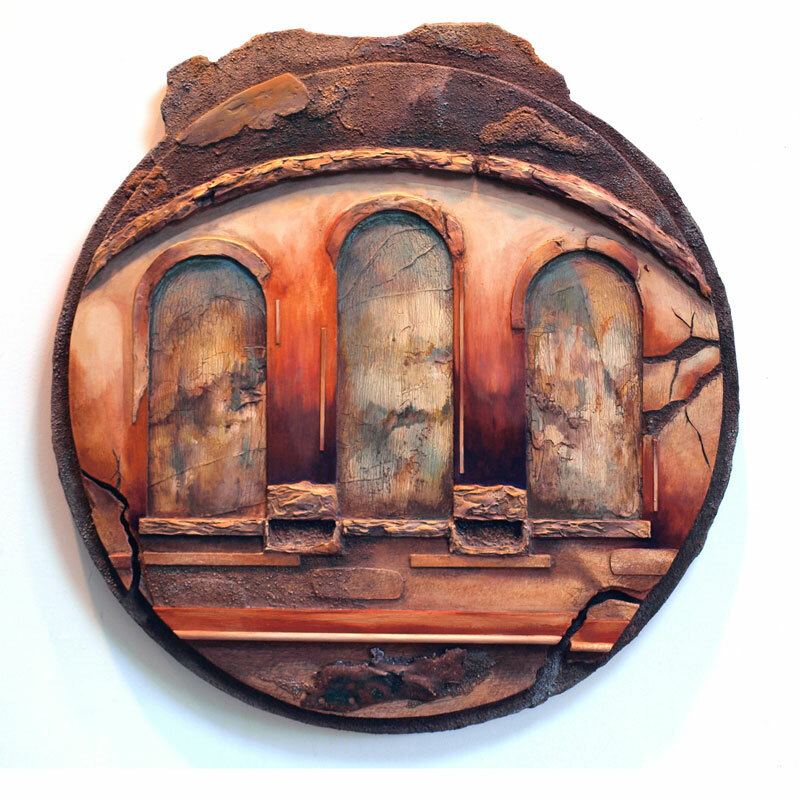 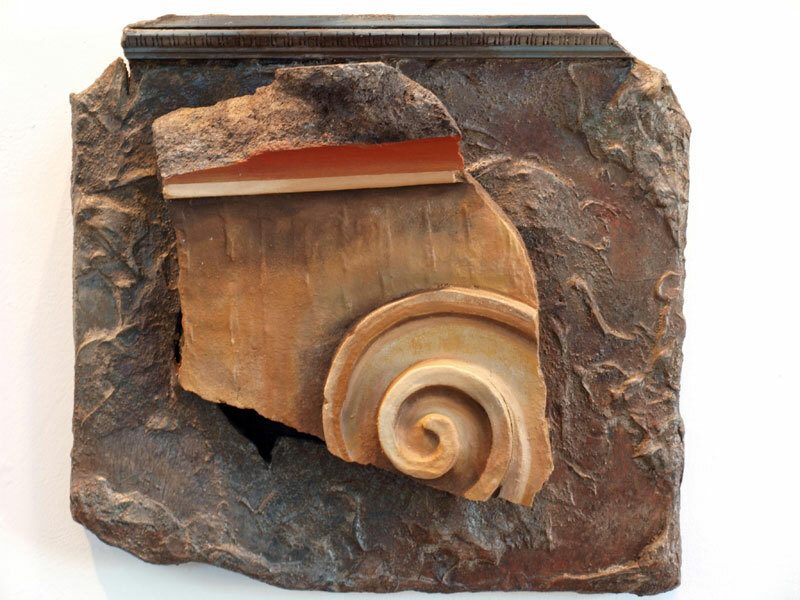 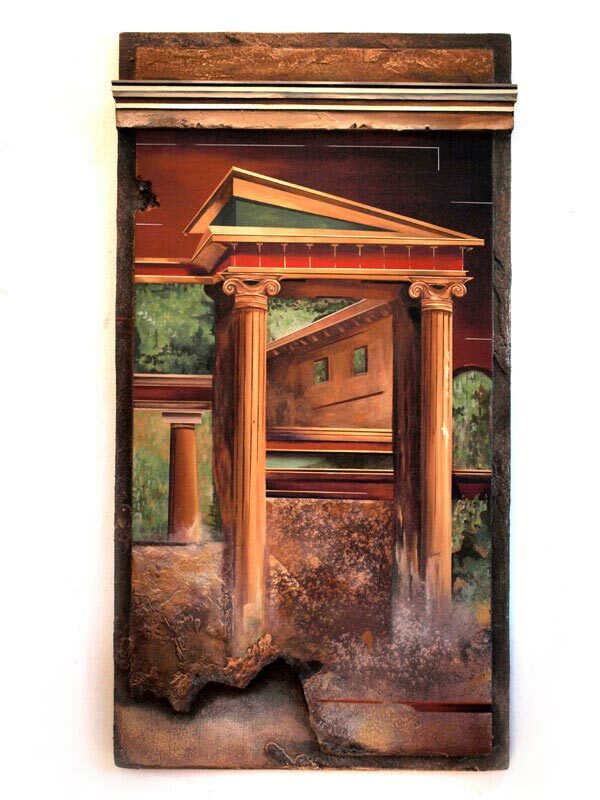 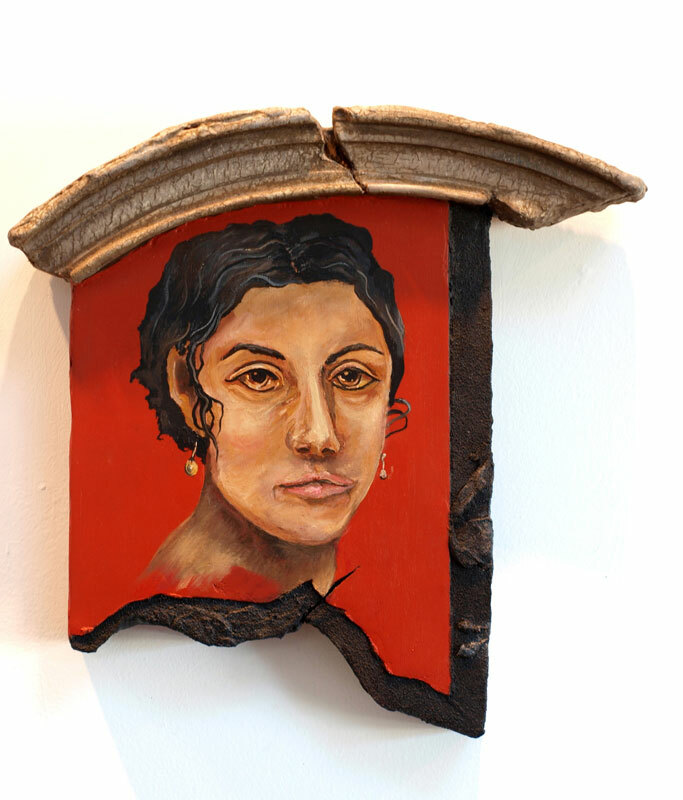 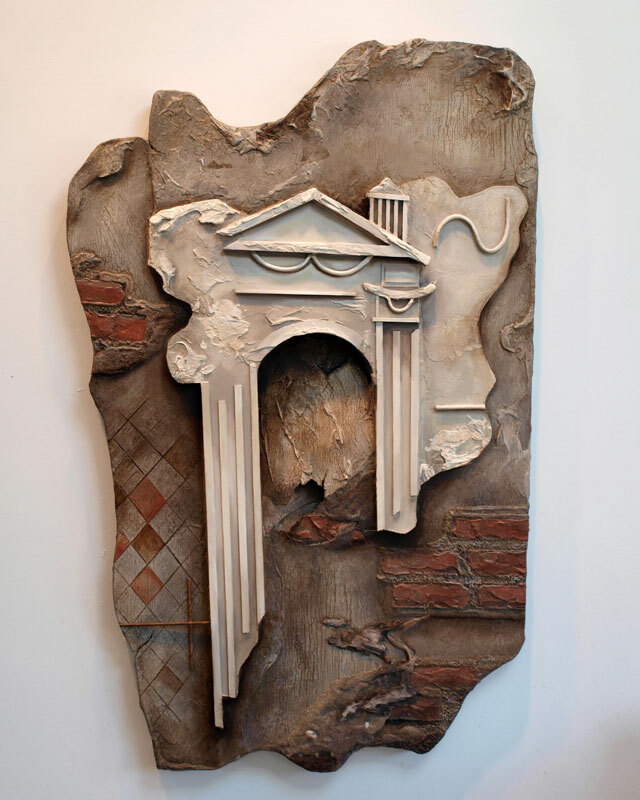 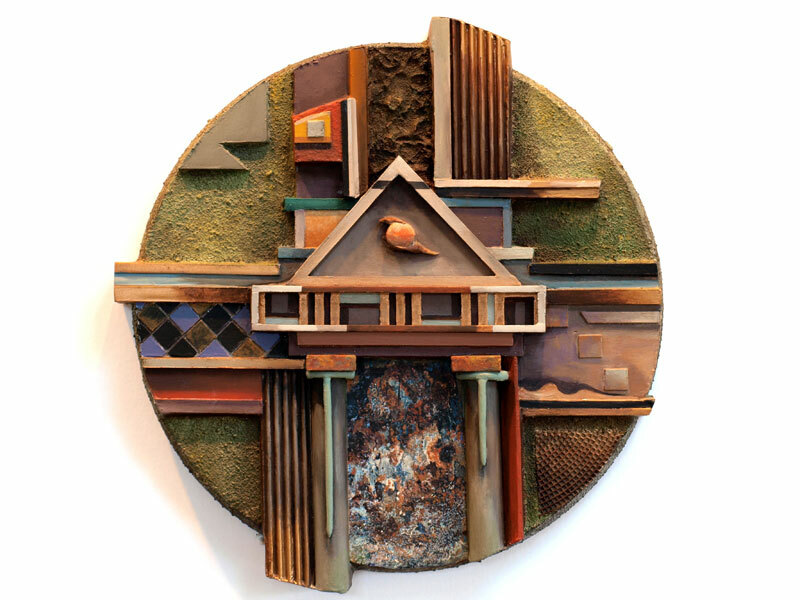 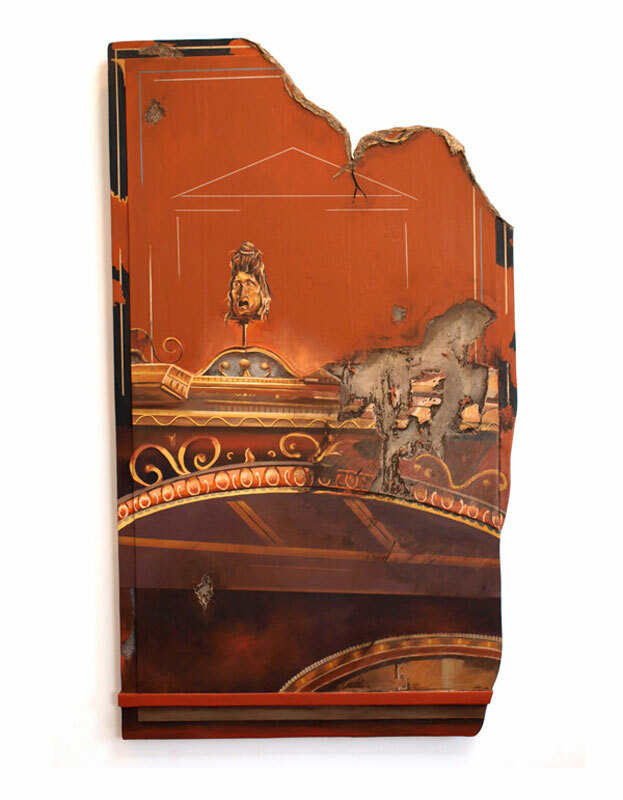 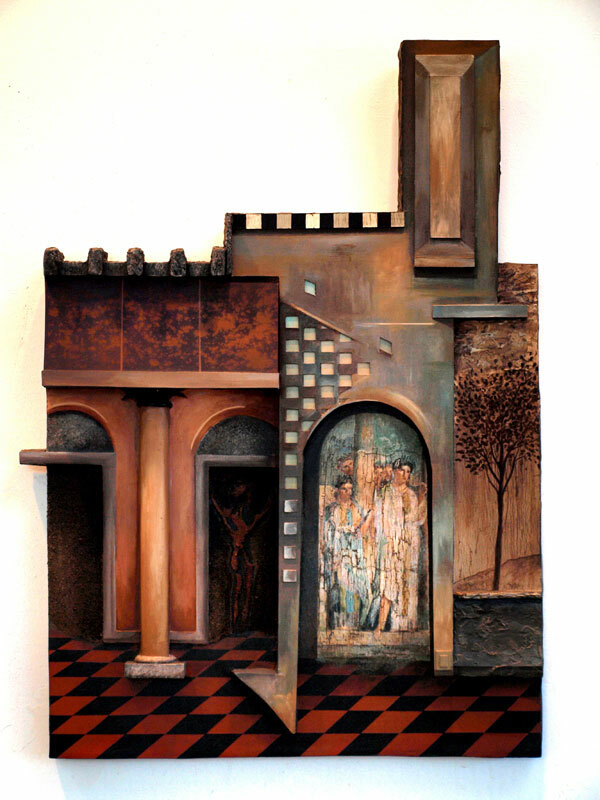 My mixed-media reliefs are inspired by architectural remains of ancient Rome. 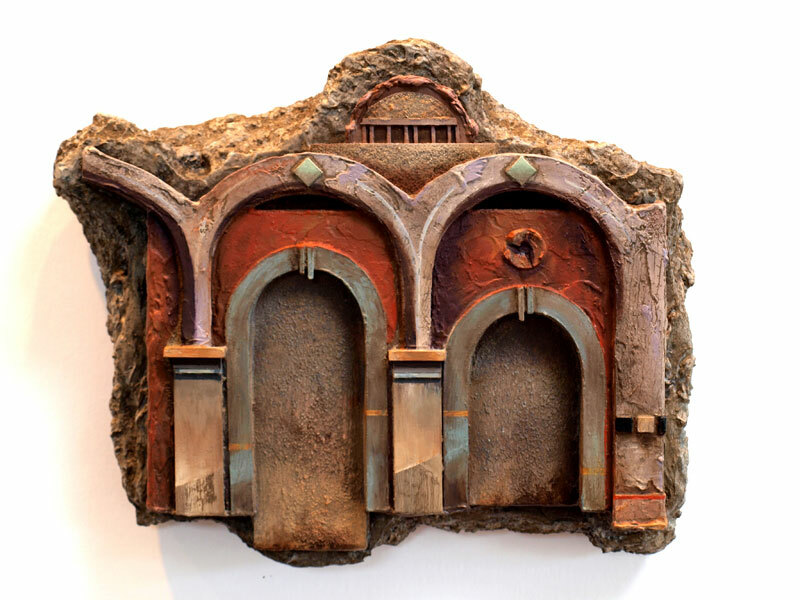 Fragments of temples, villas, and scenographic walls are interpreted by creating layered constructions. 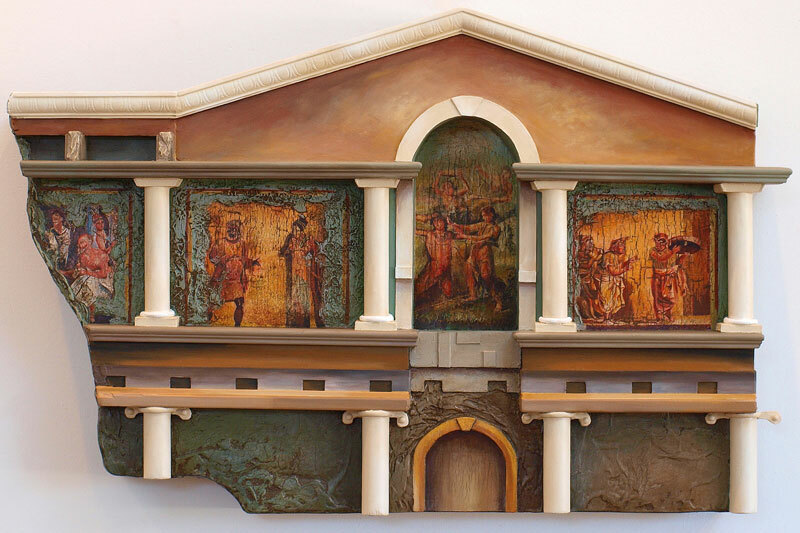 The reliefs depict physical and visual rhythms found in Roman art and architecture. 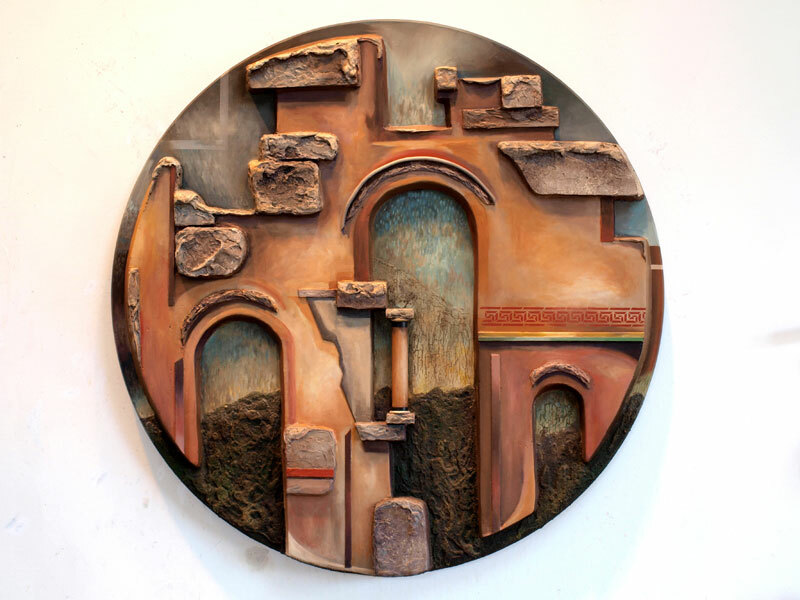 The pieces are derived from photographs taken and gathered while travelling throughout Italy over time. 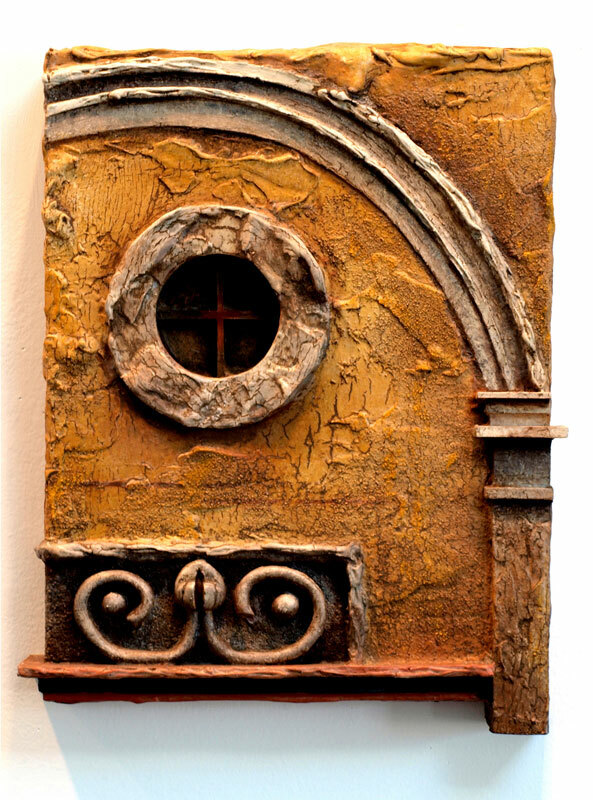 Applications of wood, plaster, ceramic, wallboard compound, and pigments are used in concert. 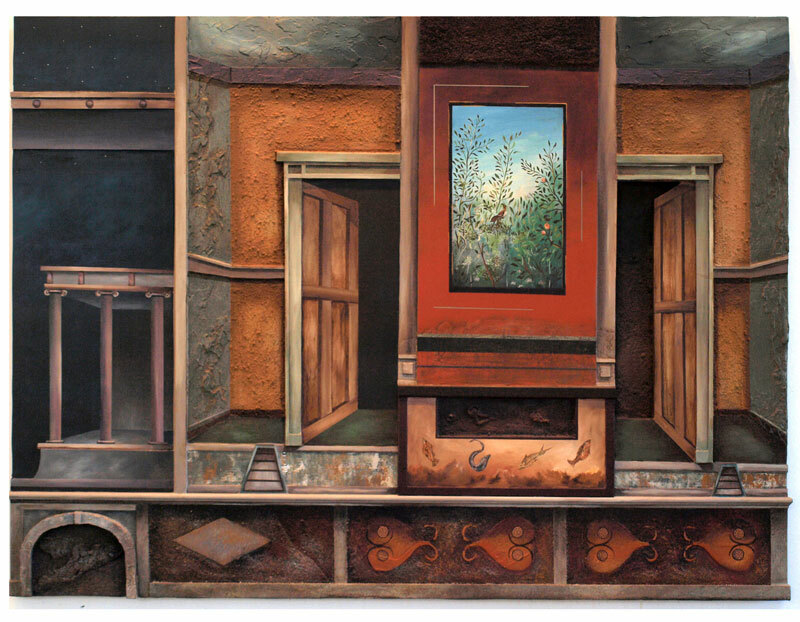 The work transports the viewer to a rich and mysterious place in time.